N.J.S.A. § 2A:31-l sets forth when an action for wrongful death exists. Specifically, a cause of action for wrongful death exists when a person’s death is caused by a wrongful act, neglect, or default, such that the· person injured would have been entitled to maintain an action for damages resulting from the injury if death had not ensued. The estate representative has a two-year statute of limitations for a wrongful death action following the death of the decedent, which should suffice under most circumstances. A wrongful death action is brought for the exclusive benefit of a decedent is beneficiaries (under his/her last will) or those persons entitled to receive the decedent’s intestate property by law. So while the case can only be filed by the estate fiduciary the representative of it is that class of persons entitled to receive damages awarded in the case that receive in the economic benefit. There is such a thing as a Companion survival action. It differs from a wrongful death claim. Unlike a wrongful death action, the law authorizes a decedent’s estate to sue for any personal claims he or she would have had if he/she had survived. The survival law sets forth the scope of a survival action. It authorizes a personal representative to bring an action and to recover money damages which decedent would have had if he or she was living. The executor or administrator may recover all damages which accrued during the decedent’s lifetime, as well as any reasonable funeral and burial expenses. A “survival claim,” then, is a decedent’s own claim for damages accrued during his lifetime, which is brought by the Estate’s personal representative. As a practical matter not much but realize both are separate claims and money damages are available under both the wrongful death and survival statutes. 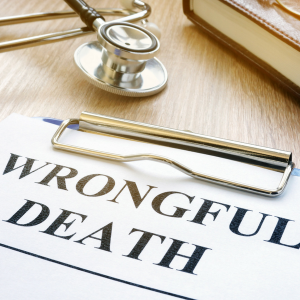 A personal representative can (and usually will) file claims under both the Wrongful Death Act in one lawsuit. Recovery under the survival action belongs to the decedent’s estate. And while a personal representative is required to proceed expeditiously without court involvement, he or she is authorized to apply to the court to resolve questions concerning the estate or its administration. N.J.S.A. § 3B:10-28, if confronted with multiple competing demands by a beneficiary (ie): Let’s look at some of the more common claims made against executors, administrators and Estate Representatives. To discuss your NJ wrongful death lawsuit, please contact Fredrick P. Niemann, Esq. toll-free at (855) 376-5291 or email him at fniemann@hnlawfirm.com. Please ask us about our video conferencing consultations if you are unable to come to our office.